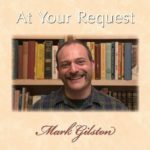 There are currently fourteen different Mark Gilston CDs. They feature a number of instruments including mountain dulcimer, bass dulcimer, concertina, Bulgarian bagpipes (gaida), guitar, ocarina, rubber bass, synthesizer, and whistle. Vocals too! Just click on the highlighted tracks to listen. More sample sound files from these CDs are available at CD Baby (just click on the CD cover). 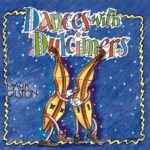 Christmas with Dulcimers is an album of beautiful Christmas songs and melodies sung and played on mountain dulcimer, concertina and more. You will hear old favorites along with lovely haunting carols from Appalachia, France, England among others. 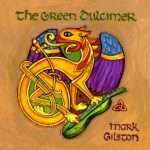 The Green Dulcimer is an outstanding collection of 38 beautiful Celtic dance tunes and airs brilliantly realized on solo mountain dulcimer. 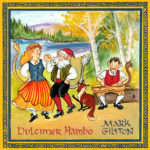 Dulcimer Hambo is a beautiful collection of 27 lovely Swedish dance and processional tunes brilliantly realized on solo mountain dulcimer. 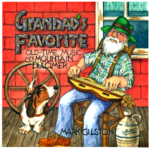 Grandad’s Favorite is an exciting collection of wonderful old-time tunes masterfully played on solo mountain dulcimer. Playing A Round With Dulcimers, is a delightful feast of wonderful rounds, some familiar, some not so familiar, some old and some new. The parts are fully harmonized and each is masterfully played on a separate dulcimer ranging from bass to soprano. 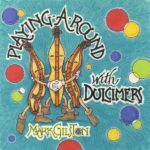 Playing Around With Dulcimers is a thrilling instrumental musical excursion. with two of my most requested encores. A joyous exploration of American old-time and ethnic music featuring mountain dulcimer. 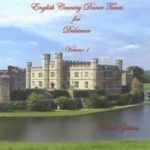 On this CD, in addition to two vocals, you can hear seven different dulcimers, guitar and English concertina in solo dulcimer pieces and various instrumental combinations. Travels with Dulcimers is a celebration of the remarkable diversity of the mountain dulcimer. It has music from Sweden, Ireland, France, England, Bulgaria, Serbia and Croatia. In addition to playing six different mountain dulcimers in solo pieces and combinations, there are clever, tasteful accompaniments played on guitar, concertina, whistle and Bulgarian bagpipes. 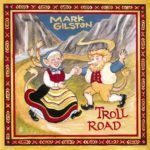 This wonderful listening album features Swedish and Norwegian “spelsman” music played in traditional style on concertina and dulcimer with guest musician, Tom Gibney on fiddle. Innovative world music from a true dulcimer virtuoso. This CD is an anthology of traditional European and American dance tunes played on solo mountain dulcimer. Listening to this delightful recording will open your eyes and ears to the remarkable capabilities of this simple yet beautiful instrument. Lend Me An Ear is a collection of traditional songs and instrumentals. In this cleverly charming compilation, many of the songs have references to missing ears. 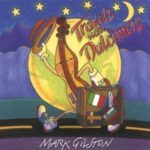 The CD features an international selection of material and shows off Mark’s fine singing styles and virtuoso mountain dulcimer and concertina playing along with a sampling of wind instruments including the gaida (Bulgarian bagpipe). Mark’s first CD is a fine cross-section of his tremendous diversity and musicianship. It contains an excellent selection of traditional ballads and instrumentals including many of his most requested concert pieces. Artwork ©2005, Murray Callahan. 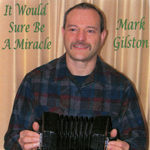 It Would Sure Be A Miracle artwork © Copyright 2000, Mark Gilston. Lend Me an Ear and Dances with Dulcimers artwork © Copyright 2005, Murray Callahan. Troll Road artwork © Copyright 2005, Susan Overby West. 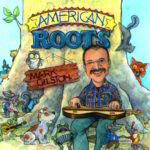 American Roots and Travels with Dulcimers artwork © Copyright 2007, Murray Callahan. Playing Around with Dulcimers and Grandad’s Favorite artwork © Copyright 2010, Murray Callahan. 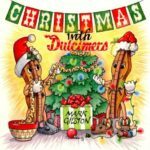 Christmas with Dulcimers artwork © Copyright 2013, Murray Callahan. Dulcimer Hambo and The Green Dulcimer artwork © Copyright 2012, Susan Overby West. If you have enjoyed my music or my instruction videos, please consider supporting me on Patreon and helping me earn a living from being creative. Each week I will send out a PDF of one of my D-A-D dulcimer tabs. The tabs will include my series of etudes and other requests from pieces among my YouTube videos. Subscribers are welcome to send in requests. Make sure you include your email with your donation. If you prefer not to use PayPal, you can send a check (email me for mailing address). Questions or comments about this site? Contact Mark.